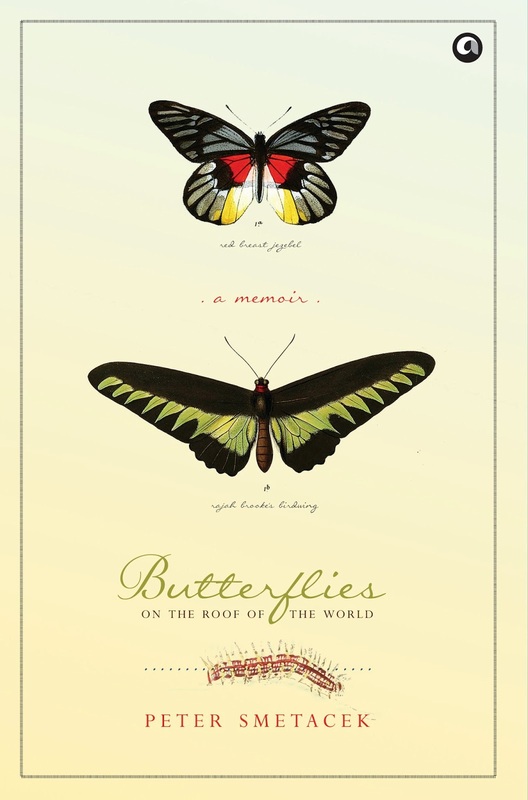 Chocolate Soldier, Golden Sapphire, Orange Oakleaf, Peacock Pansy, Snow Apollo and Spot Puffin - just some of the beautiful creatures that flutter through the pages of Peter Smetacek’s captivating memoir “Butterflies on the Roof of the World”. 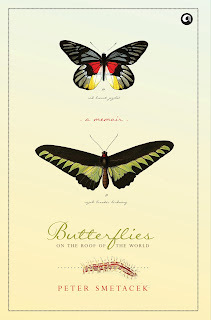 But you don’t have to be a butterfly enthusiast or even a naturalist to love this gem of a book. Like the great conservationist Gerald Durrell, Smetacek is gifted story teller who, with wit and humour, weaves fascinating information about the natural world around a cast of engaging human and animal characters. Based in Bhimtal in Uttarakhand, where he grew up, Smetacek has devoted his life to the study of Indian butterflies and moths. He has published at least 60 scientific papers and described more than a dozen species new to science. His interest in butterflies and moths, inherited from his Czechoslovakian father, began almost as soon as he could walk and became an all-consuming passion. Join Smetacek as he embarks on bone-shaking motorbike journeys through the Himalayas in search of the Black Prince, the Spectacle Swordtail or other elusive insects. Share his embarrassment in Nepal when his hunt for “butterflies” is completely misinterpreted by the locals - “butterfly” being the euphemism used by human traffickers when referring to a saleable girl! Discover Himalayan wonders like hallucinogenic honey, a steroid-producing caterpillar-mushroom, and the milky plant juice that is the Ladakhi equivalent of Viagra. Enjoy delightful descriptions of wildlife around his Bhimtal house – moths that drank till they were tipsy at his father’s nightly moth trap, an audacious toad he encountered as a small boy and the troupe of monkeys that befriended his family. Learn about the extraordinary and elaborate tricks butterfly species use to deter predators – being poisonous, pretending to be poisonous; mimicking leaves or flowers with incredible accuracy; flying in different ways at different times of day or hiding out among crowds of other butterflies. Discover that these insects, rather than being the “free spirits” of popular culture, flitting from flower to flower at whim, are actually rigidly controlled by their ecological requirements – the right kind of trees, the right food plants and the precise level of humidity. They may be confined to one patch of hillside during the monsoon, or a particular grove of trees or a specific ravine. Indeed, Smetacek’s detailed studies of the butterflies and moths on the “roof of the world” show that we can use these pernickety creatures as accurate indicators of environmental health in the all-important watershed areas of the sub-continent. Their distribution over the mountains has much to tell us about the efficiency of the groundwater systems and the insidious effects of global warming. If you plan to escape to the hills this summer, this enchanting and informative book is the ideal companion!